RaffleLink adheres to the Australian Privacy Principles under the Privacy Act 1988. RaffleLink undertakes to implement necessary practices, procedures and systems to ensure it complies with the APPs and any related enquires or complaints. You may liaise with RaffleLink anonymously or by pseudonym. You may wish to enquiry further about our service via phone or email either anonymously or using a pseudonym. This information does not in itself identify individuals and is used only to measure the number of visitors to the different sections of the site to help us make it more useful to you. You are free to browse our site without entering any personal information and therefore remain anonymous during your visit. RaffleLink only collects personal information that reasonably necessary for the activities of the business and the promotion/marketing of RaffleLink. This information is collected in a lawful manner, either directly from the individual or from publicly available sources. RaffleLink collects personal information provided by you via our website, phone and social media pages in the process of conducting business. This business may involve receiving enquiries via phone, email or online contact form, business meetings, completing a registration form to host a raffle on your behalf and receiving feedback on our service. RaffleLink also collects personal information from raffle ticket buyers during a ticket purchase on our website. Sensitive Information – RaffleLink does not collect personal information pertaining to race or ethnicity, political views or association, religious beliefs or affiliations, philosophical beliefs, sexual orientation or practices, health or genetics. In the unlikely event that RaffleLink receives unsolicited personal information then it will undertake to destroy this information as soon as possible and as long as it is lawful to do so. At the time of ticket purchase with RaffleLink, ticket buyers are required to complete a number of mandatory fields. Ticket buyers are also given the opportunity to confirm consent to receive marketing material from RaffleLink. To contact you about our service. To liaise with you regarding the management of your online raffle. To process raffle ticket sales via cash or credit card and provide a raffle ticket receipt. eWAY – our chosen payment gateway who process credit card transactions on behalf of RaffleLink. The raffle organiser(s) and/or the raffle beneficiary. 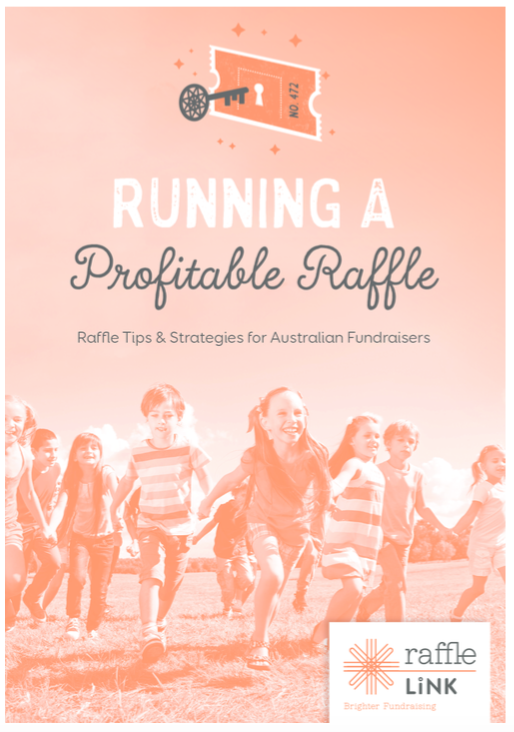 Your personal information is contained in raffle sales & financial reports provided to the raffle organiser(s) and/or beneficiary organisation. These reports are necessary to fulfill our client’s record keeping obligations as per raffle regulations and may be requested by Government bodies overseeing gaming in Australia. Raffle organisers/beneficiaries also utilise this information to contact raffle winners and arrange the distribution of prizes. Please be aware that it is a Government requirement to display the winner(s) name(s) in a public place such as the beneficiary’s website/newsletter after the raffle is drawn. You should contact the beneficiary direct if you wish your personal details to be withheld from publication after making your ticket purchase. RaffleLink may use your personal information for marketing and promotional purposes of both RaffleLink’s services and client raffles. During the course of business RaffleLink will provided either a declaration that your personal information will be used for marketing purposes or an opportunity to opt in to receive marketing material. Upon request from the recipient, RaffleLink will disclose to the individual, the source of their personal information. All items of communication will include a clear and simple means to opt out of further communication. RaffleLink will undertake to comply with your request. RaffleLink foresees no need to disclose your personal information to any entity outside of Australia. RaffleLink does not utilise in any respect government related identifiers with personal information held by us. RaffleLink takes reasonable steps to ensure that the personal information we collect, use and disclose is accurate, up-to-date and complete. providing opportunities for the individual to update their personal information during interaction with us. RaffleLink takes reasonable steps to protect the personal information that it holds from misuse, interference and loss, as well as unauthorised access, modification or disclosure. The RaffleLink website & server are located in a secured data centre in Australia. Ticket purchaser data is stored on the server in a secure MySQL database and can only be accessed by Server Admins, RaffleLink Admins and Raffle Client Admins (where the Client Admin can only see their specific Raffle data). No exploitable credit card information is stored on the server at any time. Only a few digits from each card number are stored for historical reconciliation against the payment gateway. RaffleLink’s Virtual Server access information and credentials is stored in a secure intranet system that is hosted onsite with the Server Administrator and protected via Firewall and TLS. TLS (Transport Layer Security) is the technology for establishing an encrypted link between a web server and a browser. This link ensures that all data passed between the web server and browsers remain private and integral. TLS is the highest industry standard and is used by millions of websites in the protection of their online transactions with their customers. Where RaffleLink no longer needs personal information we will undertake reasonable steps to destroy the information or ensure that it is de-identified. You may request access to your personal information that RaffleLink holds via written notification –Contact Us. RaffleLink must be satisfied that a request for personal information is made by the individual concerned and may ask for proof of identity. RaffleLink may refuse access where it deems such access would be against the law or impact the privacy other individuals. Individuals may contact RaffleLink in order to update their personal information held by RaffleLink – Contact Us. RaffleLink will then take reasonable steps to correct personal information to ensure that, having regard to the purpose for which it is held, it is accurate, up-to-date, complete, relevant and not misleading.